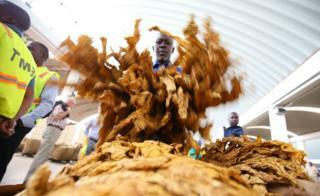 Image caption A worker at a tobacco auction in Zimbabwe's capital, Harare, checks the crop as the 2017 selling season gets under way on Wednesday. 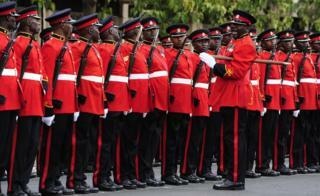 Image caption On the same day, Kenya's President Uhuru Kenyatta is welcomed by a guard of honour before he delivers his state of the nation address in parliament. 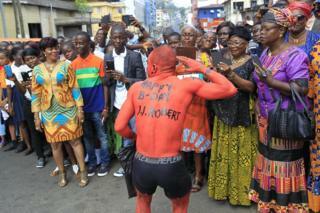 Image caption Also on Wednesday, in Monrovia, Liberians mark the birthday of the country's first president Joseph Jenkins Roberts, who was born in 1829. 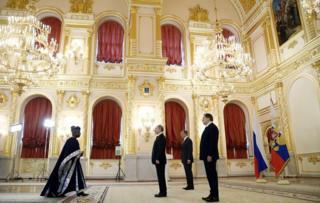 Image caption Benin's new ambassador in Russia Rene Coto Sounon is formally welcomed by President Vladimir Putin at a ceremony in the Kremlin on Thursday. 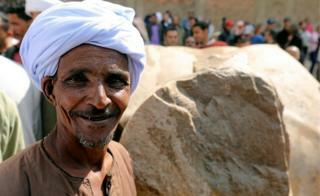 Image caption An Egyptian man takes a break on Monday from the work to lift a newly discovered statue of a pharaoh in Cairo. 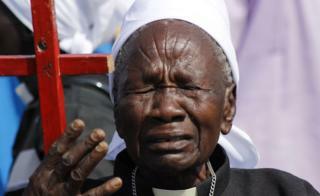 Image caption On Friday, a South Sudanese pastor in the capital, Juba, takes part in a day of national prayer for repentance and forgiveness. 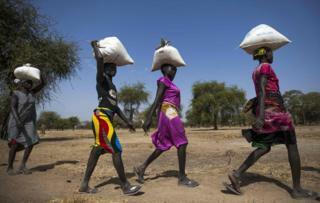 Image caption On the same day, women collect bags of food aid in the country's Unity State where famine was declared last month. 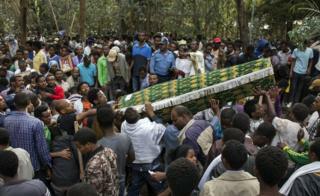 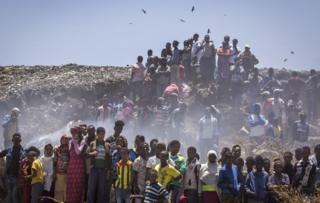 Image caption More than 100 people died in the disaster and on Monday the funeral of one of the victims takes place. 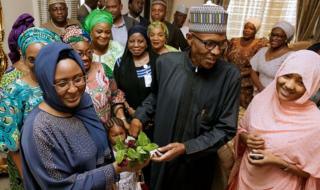 Image caption Nigeria's President Muhammadu Buhari is welcomed home in the capital, Abuja, on Friday from extended sick leave. 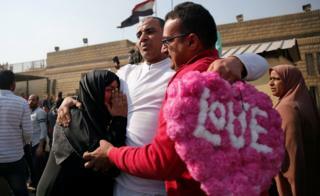 Image caption On Tuesday, an Egyptian, pardoned by President Abdel Fattah al-Sisi after he was convicted for taking part in demonstrations, is greeted outside the jail in Tora. 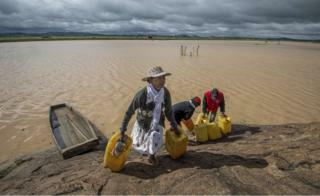 Image caption People in Madagascar's capital Antananarivo collect water on Friday from a flooded area affected by cyclone Enawo. 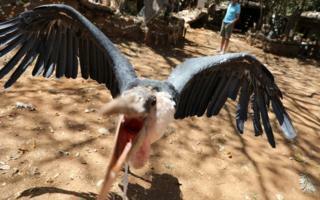 Image caption A Marabou Stork defends its territory from a nosey photographer in Kenya's capital, Nairobi, on Saturday.